On a pot, boil the unpeeled ube yam in water and simmer for 30 minutes. Drain and let cool. Peel and finely grate the ube yam. Heat a big wok in medium heat. Melt butter or margarine, add the condensed milk and vanilla flavoring. Mix well. Add the 1 kilo grated ube yam, Adjust the heat to low Keep on mixing the ingredients for about 30 minutes or until sticky and a bit dry (but still moist). Add the evaporated milk and continue to mix for another 15 minutes. Let cool and place on a large platter. 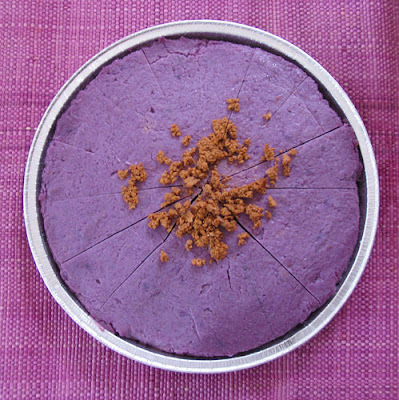 Refrigerate before serving the halayang ube.